Searching Homes For Sale Like a Boss! Many people think that searching for homes for sale is as easy as putting in a city, a price range and hitting search. Although that is what is it is supposed to be….there is an art to finding the right property online. These simple tricks will help you in searching for homes for sale online. You must first with the right real estate website. Try and stay away from national syndication portals such as Zillow, Trulia and Homes.com as they will not contain all of the listings. To get all local listings from all real estate brokers, you should be on a local broker website that has IDX. IDX stands for Internet data Exchange and is an agreement between local real estate brokers to display each other's listings online. National sites, in most instances, don't have an IDX data feed. They rely on a variety of other ways to get listings including individual agent uploads and direct broker data feeds. In very few real estate market areas do these sites have ALL the listings. Look for an icon or disclaimer that shows IDX or Broker Reciprocity---that is the only way you are guaranteed to have access to all of the homes for sale. This is a pretty basic search tip. If you are looking for a single family home, there in no reason to include condo’s in your search results. Many property searches default to all property types, so be aware and narrow your property types. Quick searches are the types of searches that show listings in a particular city or area with one click. Although it is nice to get an idea of what's available for sale, as a general rule, you should use an advanced property search to really get down to business. 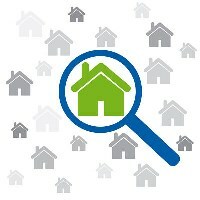 Quick searches will generally provide too many homes as a result. Some searches may let you start with a quick search and narrow your search parameters, which can provide a more digestible list of homes for sale. Most real estate searches default the results by the most expensive home for sale that fits your criteria. Another common sorting option is DOM or days on market which shows the newest homes for sale first. This can be a powerful option if you have exhausted the existing listing inventory; as sorting by DOM will show you the newest homes for sale. Pay close attention to how the properties are sorted as many sites give options for re-sorting. Advanced Searches will provide additional options for narrowing your search results. Keep in mind, depending on your area, the listing agent must enter those fields in the MLS for homes to be found by a particular search. So even though you can get more granular searching specifically for “homes for sale with a swimming pool”, if the listing agent didn't check the correct box you may be missing some homes for sale that truly do fit your criteria. Look at the number count of your results upon searching - make sure that count makes sense. In using the advanced search options... don't get too granular, for instance avoid choosing a “seal tab roof” as some terms are not universally used and searching for a term not used in a particular MLS will substantially limit your results. Avoid using additional search options such as interior or exterior features also. Because these type of home attributes may not be mandatory fields in the MLS, the listing agent may not have checked the appropriate boxes when inputting the listing. 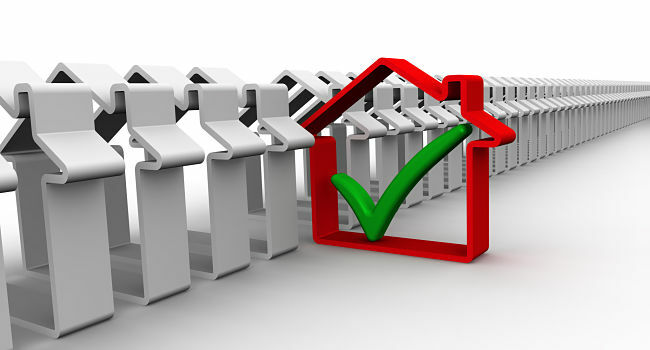 This means that you may be missing properties that truly do fit your search criteria. Some more advanced property searches will give you the option of searching for homes that have recently been reduced in price. This can be a very effective way of finding homes for sale where the seller may be more motivated. If you use this option, be sure to get your appointment set quickly as when homes get reduced in price the generally see a spike in showings. One you have found a real estate search that is using the IDX database of your local MLS, you will want to set up automatic notifications. This will notify you via email when a new listing comes available that fits your search criteria. Once again, don't get too granular as you don't want to miss any brand new listings. Your notification preferences should be somewhat general. Since you will only get the new listings for that day, it's very easy to scroll through and omit the properties for sale that don't make the cut. Searching for homes online should be easy and fun to do. Understanding where the database of homes for sale come from and how to maximize the property search can make your time looking for homes for sale much easier and more productive.